When the Crimson Vow's newest job brings them up against not just a horde of beastmen but an elder dragon, Mile is forced to fight for her life in earnest, in what will become her greatest struggle yet! Can she dig deep and tap the combined power of her three selves to protect her friends? Funa is a Japanese author best known for the light novel series In the Next Life, Make My Abilities Average!. 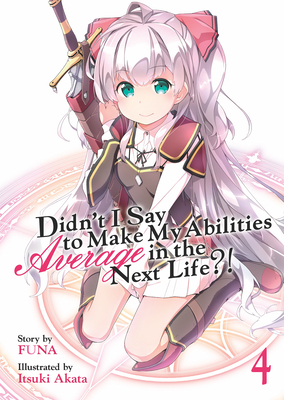 Itsuki Akata is a Japanese manga artist best known for the art in the In the Next Life, Make My Abilities Average! light novel series.